How do you find 'Off Market Properties'? How do you find ‘Off Market Properties’? What does ‘Off the Market’ Property mean and how do I get to see these houses? Often when we first meet our clients we hear a similar and frustrating story: that they are not getting to view a good enough selection of properties and then all of a sudden they hear of a perfect property that has sold which never appeared on any of the search engines. Often arise when a home owner has been casually looking in an estate agents window or on one of the many search engines and their interest is piqued by a particular house. They view it and fall in love. With their own property not on the market they have no ability to proceed with the sale but ask for the Estate Agent’s assistance. ‘We have our hearts set on a particular house but……. we don’t want to put ours on the market and let everyone know we are moving if we can’t secure that particular home’. For estate agents this is a classic case of an ‘off market’ property. They have a house which is not on the open the market which cannot be advertised but the owners are really keen to sell and secure another property. So how do I get access to these properties? In these situations it pays to have made great contact with all the local estate agents so they are fully aware of your search brief. When an off market property arises you will then be first on their list of people to contact. Viewing houses on a regular basis with agents is also key to building up a rapport and indicating your commitment to the search and it also helps to narrow down exactly what you are looking for so the agent fully understands your needs. How many are off market? We have spoken to a number of estate agents and asked what percentage of their sales are off market purchases. Estimates come in around form 10% – 25%. Estate agents will be committed to carrying out due diligence before offering the house to potential clients, with Anti Money Laundering and EPC Energy Performance checks in place as these are legal requirement before marketing. 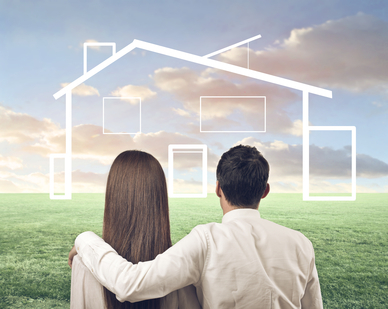 One word or caution regarding ‘off market’ properties. Sometimes vendors will test the market and ask for an overpriced figure – just to see if anyone will bite. Be aware of true market value to ensure you are not carried away with the excitement of finding an off market property. Do your research to make sure they are asking for the right price. Where do other off market properties come from? 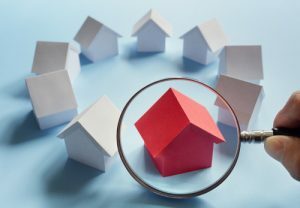 Other ‘off market’ properties can be found through connections: this is where friends, colleagues, town and village website forums and family networks can be useful. Who uses a Property Finder? Help! I want to move out of London but where should I go? Chiltern Relocation have an excellent source of local contacts including solicitors/architects/surveyors/local businesses and we often hear about off market opportunities through these channels. If you are keen to find out more about off market properties and help with how to access them please get in touch: enquiries@chilternrelocation.com or 01494 672086.